Ecolã, produces Burel fabric and 100% wool and organic clothing and accessories. In the heart of the massif is the village of Manteigas, a place of incredible natural beauty where it is possible at 2000 metres to breathe the air of the highest point of Portugal. Shepherds have lived in these mountains since 1188 so the village is characterised by the craft industry of weaving, an ancient tradition that has been passed down from generation to generation. 20,000 years ago, during the Quaternary period, the glaciation in Serra da Estrela caused the accumulation of perpetual snow above 1650 meters. The long winters and snowfall in the mountains developped their own ecosystem and the arid, granitic soil set the rhythm of the activities. In the absence of favourable conditions for agriculture the shepherds had a big influence on the life in the mountains. The shepherds turned to the use of wool to protect themselves against the harsh, mountainous conditions. In Serra da Estrela we find a distinctive kind of white, bege and brown color sheep. Their expressive eyes and thin skin with a uniform colour are their main features. It is the most resistant fibre of animal origin, 100% natural and, like human hair, contains a protein called keratin. During growth it is lubricated by the sebaceous glands that secrete a waxy substance whose main component is lanolin. Bio-degradable and renewable, year after year the sheep produces wool that is sheared for its own good. Naturally elastic and comfortable it is used as a natural thermal insulator. Spring is the right time to shear wool from the sheep to ensure its growth till the following winter. Starting with the legs the wool should be removed in one go. Approximately 6 kg of wool is obtained from each sheep of which only 3 kg are of fine wool. Spinning can be done with a manual or electric spindle which transforms the wool into yarn, twisting it to obtain yarn of the desired thickness. For textiles only the best quality wool is used which comes from the animal’s back which is the longest and cleanest. The wool from underneath is very short and the rear area is very dirty. Cloth is made by interlacing weft yarns with warp ones. This method of weaving was known in Palaeolithic times. Besides being a cultural heritage it is a family-owned, three generations of wool experts since 1925. The oldest family owned artisanal certified company of Portuguese origin. More than a textile factory it is a company that ensures the quality and maintenance of the traditional know-how, stressing a natural mountain lifestyle. 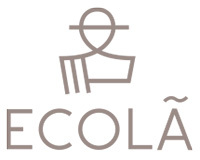 Ecolã is an iconic brand since 1925 recognised by the quality of their wool products. The human factor is the main element, high standards being our commitment. Our aim is to pass on the art of our raft to future generations. More than a factory we are a brand that is preparing to take a step into the future with the door open for innovation. The genuine colors of wool identify our brand. The respect for the natural elements deep related to the Portuguese mountain lifestyle. 100% sheep’s wool fabric of medieval origin which has always been associated with the Serra da Estrela, the mountain, the shepherds and their capes. The authenticity of Burel results from a sequence of specific operations in the manufacturing process. After being sheared, washed spun and woven on the loom the wool is “ trodden “ in a machine called stomper that beats and scalds the wool, transforming the fabric into sackcloth, making it tighter, tough and waterproof. With many years of experience we are eager and able to respond to our clients’ needs in a language that speaks all colours and is ready for all challenges.